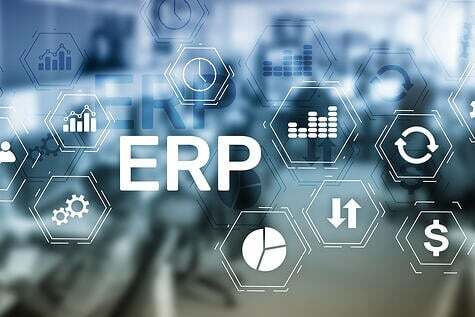 Most anyone reading this blog understands that enterprise resource planning (ERP) software lets businesses integrate and manage key aspects of their operations. This is especially important to those companies wanting visibility on their manufacturing inventory control and lot control systems. No longer do they want material requirements planning software (MRP) or lot/serial control software in separate packages. They want everything to do with manufacturing available in a single ERP package. However, for many, that would create an app whose price was unobtainable. All that has changed with the maturation of cloud computing technology. 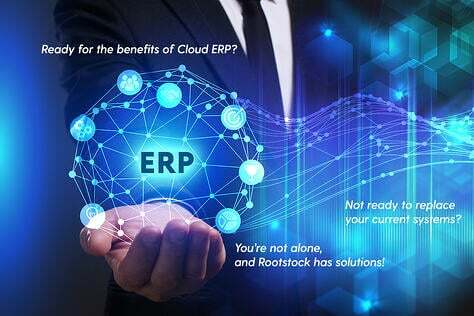 Now, those businesses with annual revenues for $30-500 million can look at cloud-based ERP systems as a pure economic play which lets them avoid expenditures for on-premise infrastructure updates and expansions. Instead of having to try and find acceptable, talented employees in a small applicant pool, they can simplify operations by outsourcing cloud ERP systems to a managed service provider. Clutch, a business-to-business (B2B) research firm that identifies top service providers surveyed 402 small business owners and their attitudes regarding IT service providers. The survey discovered that 69 percent of the respondents hire at least one type of IT service provider and found that 39 percent of small businesses working with service providers plan to increase their spending in 2016. About half the businesses hiring service providers planned to keep spending at about last year's level. Interestingly, respondents rated cloud the most popular IT service, with 36 percent hiring a services provider to assist with that technology. How small businesses are buying cloud and other services is also worth noting. The survey determined that 59 percent of the businesses buying IT services have transitioned from the break/fix model, typically fee-based and relying on the customer contacting the IT services company when repairs and upgrades are needed, to a managed service contract, which outlines both parties' responsibilities, including which services the vendor will provide, minimum response time and liability protection for the vendor. 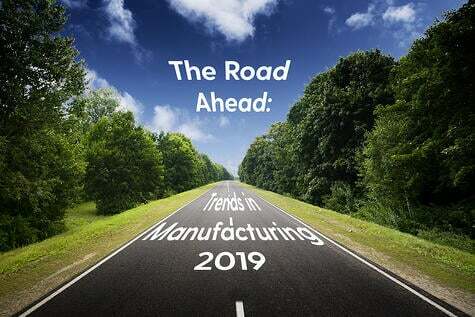 With global markets and supply chains and rapidly-changing consumer demands, midsized manufacturers realize that they need an ERP solution that accommodates any workflow, implements social collaboration, and perhaps most important, integrates with new technologies. 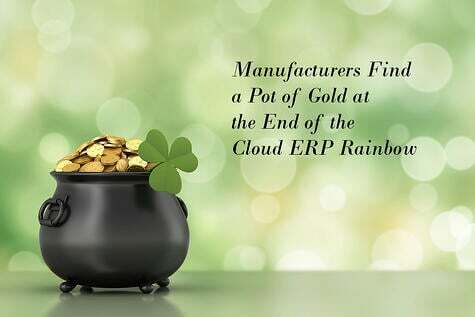 What they need is a cloud ERP solution that represents every step in the manufacturing process that increases efficiencies, controls costs and ultimately increases revenue. 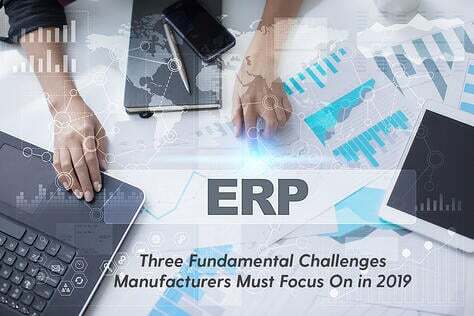 Manufacturing firms want cloud ERP applications for sales order management, purchase order management, production engineering, inventory management, lot and serial control, scheduling and capacity planning, and shop floor control. They want a system designed to support multiple companies, multiple divisions and multiple sites. Additionally, cloud ERP systems that have manufacturing cost control and project control modules give companies finer control over costs. 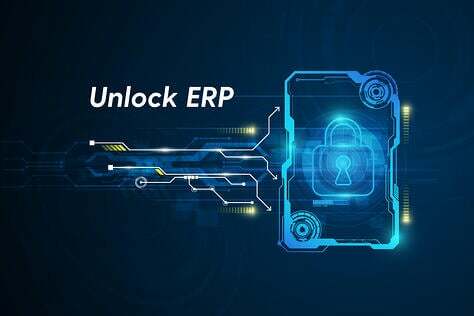 Many industries, including manufacturing, also want a platform that enables their cloud ERP software to be easily integrated with other cloud-based apps. One example of a widely used platform is Salesforce. Many manufacturers are already using Salesforce CRM so this becomes an easy decision for them. A cloud ERP integrated with Salesforce can integrate with other, wholly separate apps built on the Salesforce platform. 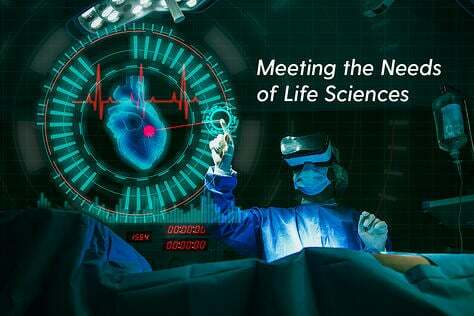 Midsized manufacturing firms, having already been confronted with changes from a globalized economy, must now find a way to leverage these new technologies to remain competitive and profitable. They need to be able to store and access critical data and transform that data into business intelligence at every step of the supply chain. They need both control and flexibility. 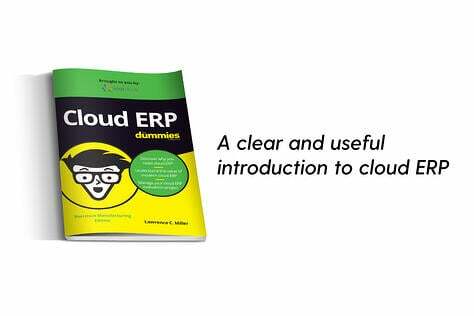 They need cloud ERP software that gives them tools they need to meet the challenges of an increasingly smaller world.